Property taxes – Combined with the new homebuyer tax credit this deduction can save many homeowners a lot on their taxes. You can add this deduction to your standard deduction if you don’t itemize, or if you choose, you can add it to you itemized deductions. Sales taxes – Tax law allows you to deduct your local and state sales taxes. I you purchased a big ticket item such as a car, boat or prefabricated home last year, you can add the taxes paid to your itemized tax return to take advantage of the deduction. New car deduction — If you purchased a new car (not used) in 2009 you may be able to deduct the state, local and excise taxes you paid for it. You don’t need to itemize to take advantage of this deduction on your taxes. Donations To Haiti – If you make a donation to the Haiti earthquake relief efforts between January 11, 2010 and March 31, 2010 those donations can be deducted from your taxes, but only if you itemize. Energy efficiency credit – If you purchased an energy efficient air conditioner, furnace or water heater last year, you may be able to deduct 30 percent of the cost from your taxes. There is a $1500 cap; but you can include the cost for labor and materials. If you installed energy efficient window, insulation, sealant and radiant barriers you may also deduct 30 percent of the cost with a $1500 cap, but labor cannot be included. Also remember, if you are unable to pay your taxes, you may be able to negotiate forbearance with the IRS. Also, some taxes (depending on the age and other factors) may be dischargeable in bankruptcy. Can I Stop the IRS from Collecting for Unpaid Taxes if I Can Not Pay? The collection process can be stopped by resolving your liability. If you receive a notice from the Internal Revenue Service (IRS) regarding tax debt , consider this your call to action. It is common for taxpayers to ignore notices or think that it’s not a big deal. The problem with ignoring IRS notices is that not only does your tax liability continue to increase with penalties and interest; collection actions against you become more aggressive and happen sooner than many realize. Taxpayers are often quick to ignore notices when they know they are unable to pay what they owe. The IRS has several options available for different financial situations. The fastest way to stop collection action is to pay the amount due in full. If you’re not able to pay it as a lump sum, all at once, you may qualify for a payment plan that will stop collection action. An installment plan allows taxpayers to pay what they owe in monthly installments and there are different plans based on what you owe and your finances. After you apply and are approved for a plan, the collection action against you will end as long as you make payments as agreed. If you are unable to pay anything toward the amount due, there are several options. You can apply to be declared uncollectible due to financial hardship or apply for an offer in compromise. Being declared uncollectible will temporarily suspend collection action until your situation improves and an offer in compromise allows you to make an offer on what you can pay; paying less than what is originally owed. If you’re wondering whether you can get can tax debt eliminated in bankruptcy, you’ll need to review several factors to learn if your debt qualifies. Chapter 7 and Chapter 13 bankruptcies may help you deal with your debt in different ways. In order to understand your options in detail and learn if bankruptcy is an option to consider, review your situation with a bankruptcy attorney or tax expert. Debtors are often confused about tax debt and bankruptcy, with many under the impression that you cannot discharge or eliminate tax debt. Tax debt should be accessed by the Internal Revenue Service (IRS) with 240 days of filing for protection. The tax return related to the outstanding debt was due at least 3 years before filing. Tax returns have been filed within the last two years. No tax evasion or fraud attempts were made by the debtor. Chapter 7 bankruptcy can eliminate or offer IRS debt relief that meets necessary requirements. Chapter 13 bankruptcy may help you deal with IRS debt relief that doesn’t qualify for discharge. With Chapter 13 you may be able to repay what you owe without penalties or interest, making your payments more affordable. The 240 day assessment may vary if you had an offer in compromise pending. Specifications may also vary if you have a tax lien. You may need to provide proof of filing previous tax returns before filing your petition. Bankruptcy can help taxpayers deal with tax debt either by eliminating qualifying debt or creating an affordable monthly payment to put toward what you owe. Each bankruptcy chapter has regulations and requirements for handling tax obligations. In some cases you can get them discharged, if they don’t qualify for elimination, having them included in a repayment plan may be another option. Handling IRS debt relief can be a struggle if you have other debt obligations such as credit card bills, medical bills, mortgage, car loan or even a wage garnishment. Bankruptcy may help you get in better financial shape to handle tax debt if the debt cannot be discharged or eliminated. Chapter 7 bankruptcy can eliminate tax debt under specific circumstances. The taxes should be income taxes, at least 3 years old, be accessed by the IRS within 240 days of filing for bankruptcy, and your taxes should be filed and up-to-date. As long as tax fraud or evasion isn’t committed, you may be eligible to have the debt discharged. Chapter 13 bankruptcy is another option if your tax debt is not eligible for elimination. This is a 3 to 5 year repayment plan approved by the court based on your ability to repay. At this point, the IRS has to accept your payment. This is often an option for debtors who have been unable to set a payment arrangement with the IRS on their own or need legal enforcement. There are certain circumstances where a debtor may be able to discharge their federal or state taxes partially or in full during. But taxes are usually treated as a priority debt during bankruptcy, what this means is that tax debts will be paid before certain other debts. For example, if a debtor owed federal taxes, the bankruptcy court would repay those federal taxes before the debtor’s mortgage or car note. However, there are times when tax debt is classified as non-priority debt. If a tax was incurred within the 3 years prior to the debtor filing for bankruptcy, then those taxes must be repaid 100 percent during the bankruptcy. However, if the tax debts were incurred more than 3 years before filing for bankruptcy, the debts will be categorized as a non-priority debt. Under certain circumstances, a debtor may be able to discharge non-priority tax debt during bankruptcy. Sometimes bankruptcy courts will discharge non-priority tax debt during bankruptcy if the debtor simply is unable to repay the tax debt AND maintain reasonable living conditions. For example, if a debtor is permanently disabled and experienced a significant drop in income the bankruptcy court may be willing to partially and even fully discharge tax debt in bankruptcy. However, if a debtor has failed to pay their taxes or has attempted to evade paying their taxes, the bankruptcy court may not discharge their tax debt in bankruptcy. And if the tax debt is classified as a priority debt, then the debtor is required to repay those taxes no matter what their circumstances are during the bankruptcy. Does Discharged Debt from Bankruptcy Get Reported on Federal Income Taxes? review with your bankruptcy attorney for further clarification on exceptions to the rule. including Chapter 7 , 11 and Chapter 13. The debt has to be successfully discharged, meaning if you filed for protection and your case was dismissed before the debt could be discharged, the exception may not apply. matter you can review via publication p4681. Debtors with delinquent tax debt often worry about IRS tax liens during bankruptcy. 1. Tax liens survive the bankruptcy discharge. 2. The tax liens that survive the bankruptcy discharge only apply to pre-bankruptcy property. For example, if a debtor filing for bankruptcy has a tax lien on an old car that’s worth $1500, and the debtor sells the car, the IRS would be able to seize the proceeds. However, if the debtor purchased a car after bankruptcy worth $3,000, then sold it, the IRS would not be able to seize the money earned from that sale. If you are considering bankruptcy and have tax liens on your assets speak with a bankruptcy attorney about your options. A qualified bankruptcy attorney can help you create a plan on how to handle tax or other liens against your assets during bankruptcy. What Happens to a Tax Lien When Bankruptcy is Filed? When you file bankruptcy, the automatic stay goes into effect which stops collection attempts from creditors. Yet, this may have a different effect on a tax lien depending on your situation. A tax lien is when a taxing authority, such as the Internal Revenue Service (IRS) or state government, places a lien on your property for failing to pay outstanding taxes due. owed taxes may take additional steps to get a lien if you owe state or federal income taxes. When it comes to bankruptcy, you may need to determine whether the tax debt in question qualifies for discharge. may depend on when it was due and whether it has been accessed by the IRS. Discuss your situation with an experienced Dallas-Fort Worth bankruptcy attorney. Tax season often raises questions about what will happen to a tax refund if bankruptcy is filed. This can be the best time to discuss your questions and concerns with an experienced bankruptcy attorney. In many cases it is about timing depending on your unique situation. It may be best for you to postpone your filing until after you have received and spent your refund. For others you may be able to keep it upon filing depending on several factors. Your tax refund may be considered part of your bankruptcy estate. There may be exemptions available depending on your state that can help protect it if it is considered an asset. If you plan to spend your refund before filing and use it toward necessities such as mortgage/rent payments, vehicle payments, and other household needs.You can review expenses and purchases you want to make prior to filing with your attorney to ensure they are qualified expenses. You may be able to keep a portion of your refund depending on exceptions to the rule. This may also apply to those who may have filed a previous bankruptcy in the past. Review with your attorney about transactions to avoid with your refund that could raise a problem in your bankruptcy. Making payments to certain creditors such as a family member you owed money to could result in the court requesting the payment to be turned over to the court. you file and this includes reviewing your intentions with your bankruptcy attorney. You can get further insight on how to use your refund safely to reduce the risk of having purchases scrutinized by the court. because of this, in some cases, you may be better off waiting until it is spent before filing for protection. Use your refund with guidance from your bankruptcy attorney. This can help you get exemptions necessary that can help you keep your refund while establishing financial control even after your case is completed. Bankruptcy filing fees: you may be able to use your refund to pay for necessary expenses such as retaining an attorney, credit counseling and financial management courses, and filing fees. These are expenses you can review with your attorney. Making necessary payments and expenses: food, clothes, medications, and repairs to your home or vehicle may be purchases you can make with your refund. You may be able to catch up on other payments such as utilities, mortgage or the rent. If I File My Taxes Late Can I Still File for Bankruptcy? for a matter of reasons. Tax returns, including federal and state tax information, should be accurate for verification purposes. When you file you are required to include information for the most recent tax year. Even if you file for an extension to submit your return after the April 15 deadline, your return should be completed and filed. If your taxes are not filed before the creditor’s meeting occurs your case could get dismissed. lead to higher Chapter 13 payments due to tax returns that have not been assessed or filed. When you complete your returns it is important to report information accurately as it will be reviewed when bankruptcy is filed. Any problems could delay the bankruptcy court from discharging debt. Discuss you tax debt concerns with your bankruptcy attorney in Dallas-Fort Worth. If you experienced a foreclosure , deed-in-lieu of sale, mortgage-loan modification or a short sale and had debt forgiven, you need to know that the Mortgage Forgiveness Debt Relief Act of 2007 will treat any forgiven debt as taxable income. But in an effort to aid people during the credit crisis, Congress allowed homeowners with mortgage debt forgiven in 2007, 2008 and 2009 to avoid this tax. The Mortgage Forgiveness Debt Relief Act of 2007 was suppose to prevent homeowners who experienced foreclosure from receiving a huge tax bill on forgiven debt caused by the foreclosure. But to many homeowners’ surprise the law doesn’t protect all homeowners who have lost their property to foreclosure. Under the Mortgage Forgiveness Debt Relief Act, the tax liability incurred from the foreclosure will be waived only if the debt was accrued from buying or improving the property. Sounds simple enough, right? Not so fast. Remember all of those home equity loans and refinances that required homeowners to roll their credit card debt into their mortgage? Well, that is taxable. So if you refinanced your $100,000 home for $140,000 and rolled $20,000 of credit card debt into the refinance, after your home is foreclosed on you will still owe taxes on that $20,000. For those homeowners who have suffered from foreclosure, paying any type of tax is a huge blow, especially on a home they no longer own. The only way that a foreclosed homeowner can avoid this tax liability is to file for bankruptcy. If you experience a financial loss this year from selling stocks or other property you can use the loss to offset capital gains from other property or stock sales. Losses exceed capital gains? You can apply as much as $3,000 of the additional losses toward ordinary income. Any amount above $3,000 can be placed on future tax returns. There are many expenses employees incur that are not covered by their employer. You can deduct these excess expenses on your tax return if they exceed more than 2% of your income. If you have a business, you can write off the cost or depreciation of certain business purchases, such as business furniture, machinery, office equipment and laptops. If you’re unemployed during this recession, several factors may greatly impact your tax liability. For unemployed workers who received unemployment insurance benefits, the IRS will tax all benefits after the first $2400. If taxes were not automatically withdrawn from your unemployment benefits check you could end up being liable for hundreds, if not thousands of dollars in taxes. If you are searching for a job, gather all of your job search related receipts. You may be able to deduct expenses for items such as parking fees, resume services and even long distance phone calls and travel expenses related to searching for work. If you owe taxes on your 2009 income, you may be allowed to defer payment if you are unemployed. Unemployed taxpayers are often able to receive what’s called “uncollectible status” if they do not earn enough income to pay their taxes or if paying their taxes would jeopardize their basic living standards. It’s important that unemployed taxpayers take the time to consultant a tax accountant who can help them navigate the system. According to an article in the Star-Telegram, Congress made permanent a tax law that allows Texas residents to deduct state and local sales taxes from their federal income tax returns. In 2004, Congress approved the provision allowing taxpayers who itemize to deduct either their state income tax or their state and local sales tax expenses, and it has been extended on a one- or two-year basis ever since. It was due to expire after the 2009 tax year. Deduction of sales taxes had originally been eliminated in the Tax Reform Act of 1986. The new tax law will save Texans millions of dollars in taxes and will go a long way in easing the financial strain of those who are already struggling with financial issues. Taxes are becoming more of a burden to Americans as they are forced to face job losses, foreclosures and reduced wages. Before 2004 many Texans missed out on the federal tax savings that most other Americans enjoyed because they were not allowed to deduct sales taxes. Luckily for Texas, that’s changed now. If you have not filed your taxes this year, please don’t forget to take advantage of this tax deduction when you file. If you are delaying the filing of your federal tax returns because you owe money and don’t have the income to pay, you may qualify for a payment plan. Visit www.irs.govfor more information on your payment plan options. According to an article in the Wall Street Journal, the Obama administration has created a new program to encourage mortgage lenders to modify a second mortgage in its efforts to reduce foreclosures. Under the new foreclosure prevention program, the government will pay mortgage lenders $500 up front and $250 a year for three years for each second mortgage they successfully modify, such as a home equity loan. According to the U.S. Treasury Department, up to 50% of at-risk mortgages have second liens and many properties in foreclosure have more than one lien. Senior administration officials Tuesday told reporters they expect a significant amount of big banks to sign up for the updated federal program to bring relief to troubled homeowners. Isn’t that what they said about Hope For Homeowners and the other foreclosure abatement programs that have been unsuccessful? Our government is spending another few billion on a program to pay mortgage lenders to help homeowners avoid foreclosure, the same mortgage lenders who created the foreclosure crisis. It is in the best interests of mortgage lenders to avoid foreclosure , so why do they need to basically bribed into acting in their own best interests? I really am beginning to believe that there are some government officials who are not taking this foreclosure crisis serious. Maybe they don’t realize that these are real lives that this foreclosure crisis is destroying. We will keep a close watch on how “successful” this particular foreclosure prevention program is in stopping foreclosures. Because the bottom line is that we aren’t stopping foreclosure if the numbers are steadily increasing. According to an article in the Star-Telegram, the IRS is considering new rules that require tax preparers to be licensed in hopes of reducing fraud and tax preparation errors. Shulman said he wants better leverage to make sure tax preparers act ethically, not only to improve enforcement, but to ensure that taxpayers get quality help in preparing their returns. “Paying taxes is one of the largest financial transactions individual Americans have each year, and we need to make sure that professionals who serve them are ethical and ensure the right amount of tax is paid,” Shulman told the House Ways and Means Subcommittee on Oversight. Currently tax preparers aren’t required to be licensed unless they plan to represent taxpayers in proceedings with the IRS. And although using a tax preparer is relatively inexpensive compared to a tax accountant, many unscrupulous tax preparers have taken advantage of low income taxpayers, according to the article. Since 2006, 356 tax preparers were convicted of fraud with over 80 percent of them going to prison. These convictions don’t just create problems for the tax preparers; it’s their clients who end up paying the additional taxes, interest and penalties. Yes, tax season is behind us; but it’s worth reminding taxpayers that you are ultimately responsible for information submitted on your tax return. Make sure you work with an experienced tax professional when filing your taxes, even if they’re late and you owe money. Remember, if you owe back taxes, you may be able to discharge these taxes in Chapter 7 bankruptcy or repay them in a Chapter 13 bankruptcy . To find out more about how bankruptcy can help you get a handle on your taxes contact a Dallas-Fort Worth bankruptcy attorney today. According to an article in the Star-Telegram, many unemployed Americans are facing unexpected tax bills because they don’t fully realize the amount of taxes they will owe on their unemployment benefits. At a time when the newly laid-off are swelling unemployment rolls to record numbers, the painful surprise for many is that jobless benefits are taxed like income. That leaves many on the hook for hundreds or thousands of dollars because the taxes aren’t automatically withheld from benefit checks. To make things worse, some people are also hit with a state unemployment tax bill. American unemployment benefits have been fully taxable since 1987; but the impact on those who have faced a job loss has been great. Many jobless Americans are facing a steep tax bill this year because of state and federal taxes on their unemployment benefits–and they’re not prepared. Taxing unemployed workers receiving unemployment benefits is like squeezing blood from a turnip and is completely counterproductive. Unemployed Americans can barely survive on unemployment benefits that range from a minuscule $400 – $1600 a month depending on where they live and their previous income. Luckily President Obama’s stimulus package includes provisions that make unemployment benefits tax-free up to the first $2,400 of benefits received. This is a temporary, one-time measure that may give jobless Americans a bit of breathing room; but not much. What we really need is a law that makes unemployment benefits completely tax-free so that the unemployed are not going deeper into the whole with tax debt . In the Chapter 7 bankruptcy case of Rollings, Joseph W. and Janet S.; In re (Chase Manhattan Bank, USA, v. Rollings) the bankruptcy court ruled that credit card debt incurred because debtors used the credit card to pay a IRS bill that they mistakenly believed they owed was not nondischargeable. The Chapter 7 debtor and her husband be¬lieved that they owed $2,267 in federal income taxes. They paid this amount using a cash advance from the debtor’s credit card. Shortly after they filed for bankruptcy, the IRS informed the couple that they were entitled to a refund of $2,793 because they failed to claim an Earned Income Credit. The credit card company asserted that its claim was nondischargeable pursuant to Section 523(a)(14) because the debtor used a cash advance to pay a tax liability. The court, however, found that the debt was not “incurred to pay a tax … that would be nondischargeable” as stated in the statute. Consequently, the debtor could discharge the debt. The court also found that simply because a debtor files a tax return stating that they owe the United States government money does not in and of itself prove that there is actually such a liability. Debtors considering bankruptcy should also note that federal and state income taxes are dischargeable in bankruptcy under certain circumstances and according to how old the tax debt is at the time of filing bankruptcy. If you have old tax debt that you would like to include in a Chapter 7 bankruptcy, speak with a Dallas-Fort Worth bankruptcy attorney today about your options. The post IRS Debt Relief appeared first on Allmand Law. Bankruptcy can help you eliminate back income taxes depending on your situation and qualifications. You can file Chapter 7 bankruptcy to discharge tax debt that qualifies under the bankruptcy code. If your debt does not meet these qualifications, you may consider Chapter 13 bankruptcy to help you repay what you owe based on your income ability. To discharge tax debt in Chapter 7 the debt should have been due three years prior to filing. This includes extensions you may have received during this time. Prior to filing your returns should be filed, even past due taxes roughly two years before bankruptcy. The Internal Revenue Service (IRS) must assess the debt at least 240 days before you file your case. The 240-day period may vary depending on any events that may have occurred during the time period. Tax returns may not be considered fraudulent; information provided should be true. Tax evasion should not have been attempted. You can review your tax debt with an expert to review your options, including Chapter 13 bankruptcy which helps reorganize debt obligations based on your ability to make monthly payments. Failing to file an income tax return or filing but failing to pay what is due may prompt the Internal Revenue Service (IRS) to begin the collection process. A tax bill, CP-14, is sent to a taxpayer which begins the process. The IRS has been known to increase their collection efforts soon after the bill is sent. They will continue efforts until the tax debt is paid in full. The bill sent to taxpayers who owe will provide information regarding the amount due and penalties and interest accrued. There may be several other notices to follow if payment isn’t received after the initial notice was sent to you. The notices also provide information on where payments can be sent. If you’re not able to pay off what you owe in full, you should make an attempt to submit smaller payments. Failing to pay after several notices have been sent will make collection actions more aggressive. A notice will be sent regarding further collection set to be taken against you. Tax lien against personal property. Tax levy that may have personal property seized. In many cases, the IRS will look to place a levy on a bank account or wages; also known as IRS wage garnishment . If you are owed a refund, they may look to subtract what you owe from it. It is also possible for your entire refund to go toward the liability amount owed. Why is Important to File a Federal Income Tax Return Even if it is Late? If you voluntarily file back income taxes the consequences for filing late fail in comparison to having the Internal Revenue Service (IRS) pursue you for outstanding taxes. The longer you wait to file unfiled taxes it’s likely you’ll pay more in penalties and interests. This reason alone should be enough for taxpayers who haven’t filed previous returns to get them submitted but unfiled returns for a lengthy period of time could lead to extensive tax debt . If you owe taxes, penalties and interest will continue to accrue until the amount is paid off or paid in full. There is a possibility the IRS may file a return for you; also known as a substitute return. When the IRS completes a substitute income tax return, they often don’t include credits or deductions that may lower your amount or increase your refund if you are due for one. If a substitute return is completed, they may begin collecting outstanding taxes due based on this return. They may look to place a lien or levy against personal property. If they complete a return you still have an opportunity to complete unfiled returns with deductions and credits applied. If you voluntarily file, you may be eligible for a payment plan to resolve your debt and possibly settle for less than what is owed. If the IRS catches up with you about unfiled or unpaid taxes, depending on the amount owed and how long you continue to fail in filing or submission of payment, it could be considered tax evasion, lead to a hefty fines or even prison time. Review questions or concerns with a tax attorney or tax expert. You may be tempted to rush around to any tax preparer to file at the last minute or even a few days late, but beware of unscrupulous tax preparers who may file false information on your return. An article in the Dallas Morning News, offers a story that should serve as a warning when choosing your tax preparer. Joyce Marie Simmons went from running a Snow Cone stand to becoming the tax-refund queen of Polytechnic Heights, acquiring a newly built strip center valued at $860,000 and driving a $78,000 BMW 760 Li. Before the April 15 tax filing deadline in past years, local business owners watched wide-eyed as last-minute filers spilled out the door of Simmons’ Diamond Tax and Notary Service at 2812 Miller Ave., circling the building. Meanwhile, the customer flow was lax at three rival tax-preparation offices nearby. The secret of Simmons’ success? From 2003 through 2005, federal authorities say, her clients received windfalls from deductions and tax credits by claiming that they operated enterprises they didn’t own and running up phony business expenses. They declared themselves the parents or guardians of bogus dependent children that inflated their exemptions, and Simmons, the government says, supplied the names, at times buying them from homeless people along with Social Security numbers. Okay, there are a few things to note here, 1) there were lots of last-minute filers falling victim to this tax scammer. When you wait to the last minute you can become more vulnerable to tax scams so keep extra alert. Number 2) most of these taxpayers were probably surprised with their “windfalls” especially if they owed money in past years. If you received a huge windfall when you were expecting to pay out to Uncle Sam, expect foul play and get a second opinion. Number 3) tax preparers in Texas ARE NOT required to undergo licensing or certification, a matter of fact they don’t even need to register with state or federal tax agencies. That means there is little oversight and regulation on “kitchen counter” tax preparers, so if you can afford it you may want to work with a tax accountant. Are you delaying filing your taxes because of a lack of money? AARP Tax-Aide – Despite what the name may suggest, this program is not just for senior citizens. AARP Tax-Aide is available for all taxpayers of all ages and income levels. Local volunteers who are trained in tax preparation and certified by the IRS will file your taxes for free. Call 888-227-7669 to find locations and make an appointment. Or, you can visit here and submit a tax question online. VITA – VITA is a tax preparation service that helps families earning $49,000 a year or less and military servicemembers file their taxes. This tax service is free and available in both English and Spanish. No appointment is necessary; but you can call 800-829-1040 or a 211 operator to find locations and times the tax service is available. And of course you can always go to www.irs.gov and file your taxes using their online system or one of their printable forms. The IRS website includes a ton of free and useful information for filing your taxes. Remember, if you file your tax return electronically and use automatic deposit, your tax refund could be deposited into your account in as little as 10 days. So if you are tempted to take out a tax refund loan, just remember that you could get your refund in as little as 2 weeks without the loan. Also, if you owe taxes and are unable to pay, you can still file your taxes now, as long as your pay by April 15, 2010 you can avoid a penalty. You can also request an extension for filing or paying your taxes. Back income taxes result from not filing a return. While it’s best to file on time each year, you’re better off filing a return late than not at all. Dealing with income taxes is something many taxpayers try to avoid but ignoring your liability can make the situation more challenging. The Internal Revenue Service (IRS) has various options to help those settle tax debt from back taxes and it’s fairly common for those who owe to have questions about how to proceed. What happens if I forget to file a federal income tax return? It’s important to still file a return for the tax year in question. Filing may help you avoid serious trouble with the IRS. The Internal Revenue Service (IRS) often imposes stiff penalties for unfiled returns. Many taxpayers don’t realize that the IRS has ways of learning about income and other financial information when taxpayers fail to file. Most often, a federal income tax return won’t be filed if a taxpayer cannot afford to pay the liability. Since the IRS has solutions for those who are able and unable to pay, serious consequences may result if you fail to file. If you owe income tax you may end up paying additional penalty fees and interest. Even if you are unable to pay what is owed, the IRS has several options and is willing to work with you to resolve tax debt . In some cases, IRS wage garnishment may be enforced but many claim the IRS rather work with you to determine a solution verses garnishing wages. If you purposely fail to file and owe quite a bit in taxes, it may be seen as tax evasion in which the IRS imposes hefty fines and even prison time. Failure to file penalty that may accrue interest fees. The longer you wait to file, the more you will owe. Losing a tax refund you were eligible for. If you are due to obtain a refund, you may not be penalized for filing late but you have three years to submit a completed return that shows you are entitled to receive it. Statute of limitations is affected. You have 3 years to claim a refund and after that, the IRS isn’t obligated to issue one. Collection of back taxes start when a return is filed. How do I determine how much is owed? Filing back returns will help you in understanding your liability. There are other options to discuss with a tax expert to help you determine how much you owe. What happens if I can’t pay what I owe? The IRS has multiple options available that will allow you to make payments on your liability. Is it possible to settle my taxes for less than what is owed? Qualifying taxpayers may be able to settle with the IRS through different options such as penalty abatement and offer in compromise to settle at a reduced amount. I received a notice for intent to levy from the IRS. What should I do? When no attempt is made on your part to pay taxes, the IRS will at placing a levy on your wages or bank account. Contact the IRS and learn about options available to keep the levy from proceeding. Should I handle back taxes on my own or with a professional? This is a personal choice but even if you decide to file back taxes on your own, a tax attorney or tax expert can answer questions or concerns about your situation. When it comes tax time, knowing what is rightfully yours to claim is crucial. That is why it is important to know tax essentials before tax time comes around instead of during. Since there are all sorts of rules that apply to different areas, such as if you have children, if you own a home, and so on, you need to know what applies to your situation. If you do own a home and you want to get the most reductions out of it, here are some of those essential tips and tricks you’re going to need to know. Unfortunately, about 40% of homeowners will miss out on a major tax advantage when they fail to itemize their income taxes. If you have a home and somewhat of a simple return, it can be tempting to take just the standard deduction but, it could be that your homeowners deductions are more beneficial to you. The average home office deduction is about $3,500 according to the Small Business Administration. If you take that number and then multiply that by your tax deduction bracket that is how much you may be able to save. Don’t forget to take advantage of your home office and deduct the appropriate taxes. If you happened to have purchased or refinanced your home in the last year, don’t forget about those expensive closing costs. On your return you can also include those fees and discount points that were paid when you closed or refinanced. Actually, even if the seller paid your closing costs, it is still tax deductible. It is also important to note that the IRS is not currently charging for taxes for the Cancellation of Debt Income through a short sale, loan modification, or foreclosure . Unless this changes, which is under the Mortgage Debt Forgiveness Relief Act of 2007, this is important to keep in mind come tax time. Federal and state tax authorities encourage taxpayers to pay their taxes with credit cards; but doing so may not be in the best interest of the debtor. The interest rates on credit cards are typically higher than the interest charged by the state or tax authorities. Once you charge your taxes to a credit card, unless you plan to repay the debt immediately, you could incur charges that are eventually equal to or even exceeds the amount of your original tax debt . Believe it or not, the federal and state tax authorities are more flexible than credit card lenders. If you need more time to repay your taxes, both state tax authorities and the IRS are often willing to setup payment arrangements. Oftentimes you can repay your taxes over a period of two to three years if needed. Credit card companies will also allow you to repay the debt overtime but not without a high cost attached. Tax authorities are able to place your account in uncollectable status if you are unable to pay due to illness, job loss or other issues. What that means is that they will freeze all collection activity until you are able to repay the amount. They will usually give you at least 6 months before they check in with you to find out if your financial situation has improved. If you file Chapter 7 bankruptcy at a later date, you may not be able to discharge the credit card amount comprised of the taxes if those taxes would not have otherwise been dischargeable in bankruptcy. Please check with your bankruptcy attorney to discuss your particular circumstances. You will end up paying more. Yes paying your taxes late will result in interest and penalty fees; but that won’t be nearly as much as the interest you will pay on a credit card. Compared to credit card interest rates, the interest rates for both state and federal taxes are miniscule. You have more payment options with the taxing authorities. While the IRS and other taxing authorities will try to convince you to pay your taxes with a credit card, don’t be pressured into taking on new credit card debt. You are not required to take on credit card debt to pay taxes even if you have the credit available. Take advantage of the numerous payment arrangements available through the IRS and other tax authorities. If you decide to file bankruptcy after paying for your taxes with a credit card, you may not be able to discharge that portion of the credit card debt in bankruptcy. The bankruptcy code prohibits the discharge of debts incurred to pay taxes if those taxes would not have otherwise been wiped out. In other words, if you charged your taxes to a credit card this year and filed for bankruptcy a year later, you would not be able to discharge that debt in Chapter 7 bankruptcy. Money earned online is tax-free. Whether you earn money online or offline, all revenue is taxable by the IRS and must be reported to the IRS on your income tax filing. One of the biggest victims of this tax myth are entrepreneurs who finding more of their business online than before. Do yourself a favor and take the time to carefully document and report all revenue earned online and offline to the IRS at tax time. If you barter, you don’t have to pay taxes. While it is true that no money changes hands during a barter exchange, the value of the barter is taxable by the IRS for both sides. For example, if you bartered services valued at $100 with someone who was giving you services also worth $100, you both would need to pay taxes on the $100 worth of value you received. Under-age workers don’t have to pay taxes. All singles under age 65 with $9,350 in gross income in 2009 must file a return, as well as those 65 and older with income of $10,750 or more. Self-employed individuals with incomes of $400 or more regardless of their age must also file a tax return. I Received A 1099 For My Forgiven Debt…Do I Have To Pay Taxes? If you receive a 1099 for canceled or forgiven debt, you may be required to pay taxes on that debt. If your credit card company wrote off your debt because it was uncollectible after a certain amount of time, you may be required to pay taxes on the debt. If your home was sold in foreclosure but had a deficit balance on the mortgage which was forgiven by the mortgage company you may need to pay taxes to the IRS on the forgiven portion of that debt. The same rule could apply for other types of debts which are written off and reported to the IRS. Any portion of the debt that was forgiven is taxable under the current tax laws. The IRS requires that all banks and financial institutions report any canceled or forgiven debt to them because they consider it income. If your debts were forgiven in Chapter 7 bankruptcy or Chapter 13 bankruptcy , you DO NOT need to pay taxes to the IRS on the forgiven debt. Debts canceled or forgiven in bankruptcy are not taxable. However, sometimes a creditor will still issue a 1099 for a canceled debt. If you receive a 1099 for a debt that was discharged in you bankruptcy, you need to fill out the IRS Form 982. The form is complicated but an experienced tax accountant can fill it out for you and make sure that you are not taxed on debt which was discharged in bankruptcy. The post Back Taxes Help appeared first on Allmand Law. Can You Discharge Medical Bills with Bankruptcy in California? The post Can You Discharge Medical Bills with Bankruptcy in California? appeared first on The Bankruptcy Group, P.C..
A common misconception is that irresponsible people are the ones who usually file for bankruptcy. However, nothing could be farther from the truth. While it is true that bad budgeting or overspending may be attributed to being irresponsible, managing money is harder than ever thanks to inflation. Thus, a combination of bad budgeting and a habit of spending too much money can cause your debt to skyrocket and lead you to bankruptcy a lot faster than ever expected. But, then again, there are times that overwhelming debts may have been a result of life-changing events that you have no control over. We, at Northwest Debt Relief Law Firm, are here to take off the wool over your eyes and enlighten you about the realities of bankruptcy. A study done by Harvard University indicates that the leading cause of bankruptcy is due to medical expenses. These expenses account for a whopping 62 percent of all reported personal bankruptcies. The study also showed that 78% of filers had some form of health insurance, thus bucking the myth that medical bills affect only the uninsured. Rare or serious diseases or injuries can easily result in hundreds of thousands of dollars in medical bills – staggering amounts that can quickly wipe out life savings and retirement accounts, college education funds and home equity. Bankruptcy may be the only way out when they are left almost penniless, regardless of whether the patient or his or her family had health insurance to cover a portion of the bill or not. There may be times that some companies also have to cut costs to keep the company afloat. In such instances, this may mean employees putting up with pay cuts and bonus reductions. Losing your job, whether through layoff, termination, or resignation equates to the loss of income. This may mean challenging times ahead especially if you have not been able to set aside enough funds to tide you over to the next job. While some people may be able to receive severance packages, others are not as lucky with finding pink slips on their desk without any prior notice. An emergency fund will have been helpful. Otherwise, you will have no choice but to use your credit cards to pay off bills and this move could entrap you in debts with no clear indication on whether you can pay them off later on. The loss of insurance coverage and the cost of COBRA insurance also drain the job seeker’s already limited resources. People who are not able to find similar gainful employment for a long period of time may find it challenging to recover in time to pay off creditors. Marital dissolutions result in dreadful blows on the finances of both parties. They need to deal with legal fees, which may cost a lot of money. They also need to deal with the division of marital assets, paying off child support and/or alimony, and finally the ongoing cost of keeping up two separate households after the split. The mounting costs of legal representation are enough to force some people to file for bankruptcy, while wage garnishments to cover back child support or alimony can strip others of the ability to pay the rest of their bills. Spouses who fail to pay the support dictated in the agreement often leave the other completely destitute. Credit companies are aggressive in selling their credit cards, mortgages, and other forms of consumer debt. However, credit card bills, installment debt, and other loan payments can eventually get out of control, until eventually, the borrower may not be able to even settle the minimum amount due for each type of debt. In the end, the borrower will have no other choice but bankruptcy if funds are not obtainable with the help of friends or family or debt consolidation. Other times, unexpected expenses such as loss of property due to theft or natural calamities like earthquakes, floods or tornadoes for which the owner is not insured can force some into bankruptcy. Most homeowners are now aware that there is a separate coverage for fortuitous events like earthquakes. As such, they can lose their homes, if not all of their possessions in the face of such calamity. When people face foreclosure on their homes, more than 1% of Americans to filing for bankruptcy. This enables them to re-organize their debt which may prevent them from having to foreclose in the future. With the rising costs in real estate, the utility payments people have to pay are also increasing. Heat, electricity and other necessities are paving the way to bankruptcies. A lot of people have not been able to fully pay their student loans well beyond college. Studies show that student loans account for 1% of all filed bankruptcies. That 1% translates to approximately 15,000 bankruptcies a year. ➤More money being spent versus the income earned. At the end of the day, people have to keep track of expenses. When your income is running low, do not be surprised if you may be in the red sooner than you think. Bills come at a steady pace. They will not stop just because you do not have sufficient means to pay them off. There are many reasons why people are forced-or choose-to declare bankruptcy. But more often than not, common sense, sound financial planning, and preparation for the future can nip the problem in the bud. Should you speak to a bankruptcy attorney in Seattle? Worse comes to worst, you may need solid legal advice before you actually dive into bankruptcy. Do not hesitate to speak to an experienced bankruptcy lawyer in Seattle. One of the best bankruptcy attorneys is at Northwest Debt Relief Law Firm. Our bankruptcy attorneys will help you with the options available to you and guide you on the path to a fresh start. Call us now for a free initial case evaluation. The post What are the Top Causes of Bankruptcy? appeared first on Portland Bankruptcy Attorney | Northwest Debt Relief. The post How Long Will Bankruptcy Stay on My Credit Report in California appeared first on The Bankruptcy Group, P.C..
Taxis don't cause congestion But Uber and Lyft, for example, will be able to carve out a discount for a "pooled" ride, knocking the fee down to $0.75. Taxis won't be able to do this — and it could be impossible to monitor whether ride-hailed pools actually wind up transporting multiple passengers. As far as I can tell, the plan combines accepted economic theory about congestion caused by personal cars — it's an unpriced "externality" — with a cunning effort to get well-capitalized Silicon Valley companies to pay for upgrading mass transit. Taxi drivers caught in the middle Taxi drivers are caught in the viselike middle. They've persuasively argued that because their numbers have long been capped, they aren't part of the congestion problem. This is accurate — in fact, it's hard to see why taxis aren't exempt from the charge. They're sort of the longstanding third leg of a New York City transit stool, with buses and subways being the other two. Copyright © 2019 Insider Inc. All rights reserved. The post Can You Keep Your Home During a Foreclosure in California? appeared first on The Bankruptcy Group, P.C.. When you find your small business in the red, bankruptcy may be your best option. Restructuring your debts under Chapter 11 or Chapter 13 (with certain limitations) may be the saving grace to keep your company afloat. On the contrary, if you are planning to close down your business, a “straight” or “liquidation” bankruptcy may be the better way out. How does reorganization help my small business? discharge debts that you cannot settle over the plan term (in Chapter 11 only). When possible, most small business owners, choose Chapter 13 over Chapter 11. However, Chapter 11 is more flexible although it costs more and takes more time, resources that small business owners may not have enough to make this kind of bankruptcy a better alternative. Anyone can file for Chapter 11 bankruptcy, but a lot of small businesses may not qualify for Chapter 13. If you have a regular income, you may be able to qualify for Chapter 13 bankruptcy. If you are a sole proprietor, you can file a Chapter 13 petition under your name and your business debts will be included in your plan. Take note that Chapter 13 is still subject to debt limitations, which change periodically. As of April 2019, a filer’s debt can’t exceed $1,257,850 in secured debt and $419,275 in unsecured debt. Therefore it is much easier to file under Chapter 11 bankruptcy. If your small business is in danger of drowning in debt, you might want to consider seeking advice from an experienced bankruptcy lawyer in Oregon. In this way, you will be better informed of your options available to you. What are the differences in eligibility of Chapter 13 vs. Chapter 11? What are the advantages and disadvantages of Chapter 11 vs. Chapter 13? Chapter 11 typically makes sense for businesses or individuals who have debt levels that are greater than those allowed in Chapter 13 bankruptcy. Some small business debtors can take advantage of special provisions that help streamline Chapter 11 matters. However, if you qualify to file for Chapter 13 bankruptcy, you will likely want to file it rather than a Chapter 11 bankruptcy. ● Lower debt limitations than those of Chapter 11 small business filers. If you or anyone you know has a small business and looking into filing bankruptcy, the earlier a bankruptcy lawyer is consulted, the better. It will save time and money in the long run and will prevent undue distress. Feel free to call one of the best bankruptcy attorneys in Oregon. Get in touch with us at Northwest Debt Relief Law Firm for a free initial case evaluation. We aim to help clients get a fresh start in their financial lives. The post Which Type of Bankruptcy is Better for A Small Business Owner Like Me? appeared first on Portland Bankruptcy Attorney | Northwest Debt Relief. Most people have at least passing knowledge of wage garnishment –the process of deducting money from an employee’s monetary compensation (including salary) as a result of a court order. Fortunately for those who find themselves in the unfortunate position of having their wages garnished, these payments are limited by federal law to 25 percent of the employee’s disposable income. Unfortunately, those payments will continue until the entire debt has been paid off. Any kind of debt can lead to garnishment of wages, but the most common types include back child support, unpaid court fines or judgments, defaulted student loans , and the biggie–taxes owed to either state governments or the IRS. Once the garnishment has been served on an employer, the company takes a portion of the employee’s salary during the payroll process in order to cover the required payment. Employers are sent an official notice giving them the amount to hold back and cannot refuse to garnish wages. Wage garnishments can have a negative impact on credit, reputation, and the willingness of lenders to extend offers of credit and loans. When Can the IRS Garnish Your Wages? The taxpayer must have neglected or refused to pay the tax. The IRS must have sent a Final Notice of Intent to Levy and Notice of Your Right to A Hearing (levy notice) at least 30 days before the levy. The IRS can serve the Final Notice in person, leave it at the taxpayer’s home or workplace, or send it to the last known address by certified or registered mail. Of course, that last condition only requires the IRS to send the Final Notice to the last address known to it. They are under no obligation to ensure that taxpayers actually received the Notice, meaning taxpayers may not actually find out about the garnishment until it starts being deducted from their wages. This makes it imperative that taxpayers make sure they keep the IRS updated with their current address at all times. One option that can help take away the stress of a wage garnishment you can’t afford is that of filing for bankruptcy. If you’re already up to your ears in debt and barely able to make ends meet each month, one wage garnishment can be the straw that breaks the camel’s back. Filing for bankruptcy stops tax garnishments. Taxing authorities must immediately stop garnishments as soon as they receive notification of the bankruptcy, no matter what kind of tax debt you owe. Of course, you must still pay back the taxes you owe, but this will at least help protect your paycheck for the time being, putting you in a stronger position for dealing with the tax debt on terms you can afford. In certain cases, you may be able to discharge specific kinds of tax debt and the bankruptcy attorney can also structure an easier repayment plan with a chapter 13 bankruptcy . Either way, however, it’s a good idea to consult a bankruptcy attorney who may be able to get rid of the tax garnishment forever–or at least help you get the breathing room you need to dig yourself out of your current financial hole. Let’s roll back the clock a bit. Assume it is 2003, and you are in the middle of filing your taxes. You realize that, for one reason or another, you did not pay enough in taxes for that year. Instead of getting a nice refund, you now owe Uncle Sam a sum of money that you do not have. What is the best thing to do in this situation? Without a doubt, you still should file your taxes. Even if you cannot send payment with your return, filing your taxes and not paying immediately will put you in a much better position than not filing at all. The IRS might take a few years to realize the shortfall. You can be assured that by the time the IRS decides to try to collect the tax from you, the original amount you owed will have increased significantly, due to penalties and years of interest accruing. It would even be safe to say that the small sum of money you owed the IRS in 2003 has now doubled, or even tripled in size. Dealing with the IRS can be a very scary situation. You did not file fraudulently, you did not file late, and the tax due is more than three years old. Do you have any options? Can bankruptcy help you in this situation? With the help of a qualified bankruptcy attorney, yes it can! You may be able to get tax debt relief under certain circumstances. With a skilled bankruptcy lawyer by your side, it is certainly possible if the debt meets certain criteria. The tax year in question must have been filed in a timely manner, and without the intent of fraud. The tax liability also must be more than three years old in order to qualify for tax debt relief. In addition, the IRS must not have assessed your liability for the tax debt within 240 days prior to your bankruptcy filing date. If you have not received the formal notice of assessment from the IRS within 240 days of your filing date, you should be eligible. Although you may feel guilty about not paying your tax debt, there is little reason to feel this way. Most working people, over the course of their lifetimes, pay more than their fair share of property taxes, income taxes, sales taxes, and utility taxes. You should not feel guilty for not being able to pay your tax debt. You should feel proud to live in a country that allows responsible, hardworking citizens to have a second chance when they fall on hard times. It can be very easy to make a mistake with today’s overly complicated and bulky tax code, as well. If you have a tax debt that you cannot pay, bankruptcy may be the solution you need. Contact a lawyer in your area today to find out if you qualify for tax debt relief. One of the most defining aspects of bankruptcy is the discharge of debts that comes at the end of a case. Whether you file under Chapter 7 or Chapter 13 of the U.S. bankruptcy code, you will receive a discharge charge of your debts following liquidation under Chapter 7, or the completion of a payment plan under Chapter 13. This debt discharge frees you from obligations to make payments on certain unsecured debts, such as credit card debt, and it can provide the financial freedom needed to gain control of your finances. Although a debt discharge does help consumers find a financial fresh start after struggling with insurmountable debt, many people considering bankruptcy or other forms of debt relief harbor concerns about tax implications. With bankruptcy, discharged debts have no income tax consequences – and it is excluded from gross income. However, individuals who have filed bankruptcy and received a discharge may receive a form from the IRS regarding Cancellation of Debt. This form can be completed and sent to the IRS informing them that the debt was discharged in bankruptcy. Although there are no income tax consequences to debt discharges, tax attributes such as a loss, can pass to the bankruptcy estate and may be used by a bankruptcy trustee when administering the estate. This is often the case when businesses are involved. Bankruptcy may not have tax implications for consumers, but other forms of debt relief can. For example, credit card debt that has been partially or fully cancelled with the help of a debt settlement company could result in a tax bill for the debtor. The IRS can even charge a tax if your home if foreclosed on if the value of the house was less than what you owed on your mortgage. But debt that is discharged in bankruptcy is never subject to taxation by the IRS, because debt discharged in bankruptcy is never considered income. If you are considering canceling debt using a debt settlement firm or if you are preparing for a short-sale which will create “income” in the eyes of the IRS you may want to consider the tax implications first. Also before considering efforts to cancel individual debts, make sure that those actions make measurable impacts on your financial situation. Often debtors expend lots of energy using debt settlement that does not help them in the long-term. To avoid this take, a look at all of your debts when considering how you will tackle your financial problems. The Internal Revenue Service (IRS) offers multiple methods for taxpayers to settle their tax debt . Many find it easier to just ignore what they owe but this only makes things worse. The longer you put off paying your taxes the more you will owe penalties and interest. Installment agreement – This is the most common tax settlement option available that lets taxpayers make monthly payments meeting a minimum amount. Partial payment installment agreement – If you are unable to make the required payment under the installment plan, this option lets you make smaller monthly payments. It’s also possible to pay less than the original tax amount. Offer in compromise – This method lets you settle taxes for less than you owe by making an offer to the IRS on what you can pay. Declared currently uncollectible – The IRS may review your situation and temporary stop collection proceedings if you meet qualifications. Your financial situation will be reviewed at a future date to proceed with collections giving you time to improve your finances. Penalty abatement – This allows penalties to be waived from payment that accrued on the overall tax amount due. For many, this may give a big decrease in what is repaid. Financial hardship – If you have no way of making payments or have no cash or assets of value the IRS may cease collection efforts against you until your financial situation improves. A tax attorney or tax expert can provide assistance in settling taxes. Working with a professional gives a better understanding of how certain options fit your situation and make sure procedures are followed accordingly when applying. The IRS has wide reaching powers to collect on delinquent tax debt, which includes levies, wage garnishments and liens. But if you’re drowning in tax debt , there are a few things you can do to resolve your tax debt issues. Contact the IRS immediately. Or, if you owe state taxes, contact your state taxing authority. Communication in key when you owe back taxes. Failure to communicate with taxing authorities will only exacerbate your situation. You can call or even write the IRS or state taxing authority detailing your financial situation. Understand your rights. In the case of the IRS you have a right to challenge the validity of a tax assessment made against you. You also have a right to request a payment arrangement or even request a settlement. However, the IRS has the right to deny your request; but only if they provide a valid reason. Also, the IRS and state taxing authorities are prohibited from treating tax debtors in a demeaning or disrespectful way. For example, the IRS agents or state taxing authorities are prohibited from making threats against your person or using profanity when speaking with you. When asking for a payment arrangement, be prepared to provide financial data that proves that you cannot pay your taxes immediately. The IRS and state taxing authorities will generally request that you provide bank statements, paystubs and a monthly budget that details your income and expenses. Generally speaking if your payment arrangement only spans a year, you will not be denied a payment arrangement. If you are facing a tax levy or wage garnishment, filing bankruptcy will stop the collections actions of the IRS and if your taxes meet certain criteria, you may be able to discharge than in bankruptcy. How Can I Get Tax Debt Relief in Bankruptcy? It is possible to have certain tax debt eliminated in bankruptcy but under special circumstances. While you can include them in your bankruptcy filing along with other outstanding debt, in some cases, you’ll still be responsible for them at the end of a Chapter 7 bankruptcy or make payments on them as part of your Chapter 13 bankruptcy repayment plan. If you are looking to have tax debt discharged, Chapter 7 is a better option; only if they qualify. Taxes have been accessed by the IRS within 240 days of your bankruptcy filing. The timing could vary on this if an offer in compromise was made, the IRS suspended collection activity or you filed a previous bankruptcy. Tax returns have been filed for the debt that you wish to have discharged. Taxes should have been filed at least 2 years prior to your bankruptcy filing. The tax debt in question should be at least 3 years old prior to filing. The taxes should be income taxes. Tax fraud or evasion has not been committed. Tax returns previously filed should contain correct information. Bankruptcy may prevent the IRS from garnishing your wages or seizing funds from your bank account (also known as a bank levy). If you have a tax lien on your property, bankruptcy may not be able to remove it through tax debt relief. You may qualify to pay off your tax debt through Chapter 13 in which, you could be required to pay all or a portion of your outstanding debt. Review your financial situation with a legal expert to determine if bankruptcy is the best option. As we have mentioned previously, many debtors are so anxious to avoid bankruptcy that they are willing to pay to have debts settled for “pennies on the dollar.” The biggest problem with credit card debt settlement, outside of the fact that it rarely works out as advertised, is that the forgiven debt is treated as income by the IRS. This means that if the debtor does manage to have $10,000 of credit card debt forgiven without the help of bankruptcy, the IRS will require the debtor to pay taxes on it. If the debtor doesn’t have the cash, this could create an even larger problem. In an attempt to avoid foreclosure and bankruptcy, some homeowners seek out short sells and the forgiveness of their mortgage balance. This may seem like a sweet deal for debtors wanting to avoid bankruptcy; but the deal can sour if the mortgage balance is not forgiven in a timely manner. Right now, the IRS is waiving tax liability for mortgage debt forgiven if the short sale was for at least $50,000 less than the balance of the mortgage. However, this waiver expires December 31, 2012. That means that the short sale and debt forgiveness must happen before that date and if it doesn’t, the debtor will owe taxes on the mortgage balance. Before a debtor decides to seek debt forgiveness outside of bankruptcy, they need to closely examine how such a move will impact their tax liability. Can Bankruptcy Be a Solution for Tax Debt Relief? Taxpayers are often under the impression they cannot get tax debt relief . While bankruptcy is a powerful legal tool that may help you gain control of your finances and eliminate qualifying debt, it can help discharge tax debt in certain circumstances. There are different types of tax debt consumers deal with, yet in bankruptcy income tax debt is the most common that is dischargeable after meeting specific requirements. If you intend to include income tax with your bankruptcy filing you are required to have all income tax returns filed and current. This means tax returns in relation to the debt you want to discharge should be filed with the Internal Revenue Service (IRS) prior to your bankruptcy filing. Debt associated with filed returns after 3 years have a better chance of being discharged if the IRS is unsuccessful in collecting against them. If your tax debt doesn’t qualify to be discharged, you may still benefit from filing Chapter 13 bankruptcy . This option may help you come up with an affordable repayment plan that may last from 3 to 5 years. You can negotiate an amount to pay and once the court approves the plan, the IRS will accept payments under the new payment schedule. Bankruptcy may help reduce or eliminate penalties and interests associated with outstanding tax debt. The filing process may also stop IRS collection attempts including property seizure and garnishments. In understanding if your tax debt is eligible for bankruptcy relief, factors such as the type of tax, when it was filed, the age of the tax and when it was assessed should be reviewed with an experienced bankruptcy attorney. Under bankruptcy law, debtors can discharge certain types of tax debt in Chapter 7 bankruptcy or Chapter 13 bankruptcy. However, if a tax debt is secured by a lien against your assets, you will not be able to use bankruptcy to get rid of the lien. You cannot discharge tax debt that was just an assessment for taxes on a tax return you NEVER filed. You must file your taxes in order to discharge any tax debt associated with that filing. This is just one of the reasons why it is important to file your taxes in a timely manner, failing to do so could delay or eliminate your ability to discharge tax debt. The tax returns for which you want to discharge the tax debt must have been due three or more years before you file bankruptcy. For example, if you filed bankruptcy in 2010, then you might be able to discharge tax debt from 2007. If you were convicted of trying to evade paying taxes you will not be able to discharge your tax debt in bankruptcy. The taxes you owe must have been due to the government for at least 240 days before filing bankruptcy. For example, if you received a tax bill from the government for the first time 30 days ago, you would not be able to have it discharged in bankruptcy. 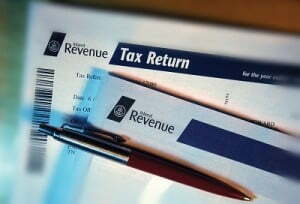 If you owe tax debt and are unable to pay it, please contact the taxing agency to let them know about your situation. State, local and federal taxing authorities have the power to grant hardship deferments to those who are unemployed or have some other financial crisis. In order to avoid getting into tax debt, you must file your tax returns promptly and accurately. Keeping a file of your transaction records is very important so that you don’t miss out on anything when it’s time to file your tax return. However, they can accumulate over time so you need to check your files every now and then to make sure that you don’t keep the ones you no longer need! Some transaction records need not stay in your files too long. Examples of these are ATM receipts and deposit slips. You can discard them right after you find the corresponding transaction on your monthly bank statement. You can also throw away your cable, telephone and utility bills once you have received the new bill showing your latest payment. You will not need these! The same thing applies to your credit card statements as well. However, you may still want to keep your bills if you think your going to need it later as reference for tax exemption. You can keep a file of your monthly bank statements until you receive your year-end statement. After you have checked that the year-end statement is accurate, you can trash the monthly statements. Even after you have already filed your tax return, you still need to keep those year-end statements for the next three years. For those who are self-employed, you can keep those statements for up to six years. If you have purchased stocks or funds, you must keep any documents relating to them for as long as you have those investments. Make sure you also keep year-end statements of these types of investments. This may come handy when you sell your shares. Although it is ok to discard your tax returns after six years, you may want to keep them for record purposes. Your tax return contains information that you may need in the future. Supporting documents like cancelled checks, receipts, etc. can go to the trash bin. Once you have received your W-2, you won’t need your pay stubs, so that can also go. You may still want to retain receipts for home improvement expenses. You may need them if ever you have to sell the house, so you can show how much you have spent. In discarding paper documents, always make sure that you destroy them thoroughly to save yourself from being a victim of identity theft. It is best to shred statements, bills and other important documents before you throw them away. A tax lien is placed by the Internal Revenue Service (IRS) when taxes have not been paid. Basically, it’s a claim from the government on your property and once it is issued, it can attach to just about anything you own. When the IRS places a tax lien because a taxpayer has unpaid taxes the action is enforced if a taxpayer neglects to appeal or work out a solution with the IRS to resolve the liability. Once your tax liability is assessed, you receive a notice demanding payment from the IRS but fail to pay toward tax debt within 10 days of being notified, the IRS files a lien. Even if you receive notice of a lien being filed, you still have an opportunity to stop the process but working out an agreement with the IRS. There are installment plans available or if you qualify an offer in compromise may help resolve tax debt . The lien covers taxes owed, including penalty fees and accumulating interest. Items subject to a lien include rental income, a vehicle, a house and securities. Any personal property with value is subject to a lien. When you sell you property the IRS is entitled to profit; taking it and applying it to the outstanding taxes. A lien stays in place until the tax liability is satisfied. A tax lien may have serious effects on your credit rating so many taxpayers look to avoid the action. Questions and concerns can be discussed with a tax attorney or tax expert. Many are under the impression that tax debt cannot be discharged through bankruptcy. Yet, tax debt could qualify for elimination under certain conditions in either Chapter 7 or Chapter 13 bankruptcy . Three years before filing your petition your taxes were due. The timing may vary if tax returns related to outstanding tax debt had an extension request. Two years before filing your petition you filed your tax returns. This means tax returns have been filed for years before filing for bankruptcy protection. Tax debt should be accessed 240 days before submitting your bankruptcy petition. This means the Internal Revenue Service (IRS) has reviewed your debt before your filing. Timing on this may vary if an offer in compromise was submitted before the filing. No fraud or tax evasion was committed. It’s unlikely you’ll be granted a discharge for outstanding tax debt if tax fraud was committed or you purposely tried to evade tax payments. You may still need to satisfy debt if you have a tax lien before your bankruptcy is filed. A lien may be against your property but if you sell it, the IRS may look to satisfy outstanding taxes owed from proceeds. On the other hand, the filing may wipe your personal obligation to pay. Since certain requirements have time restrictions this may be an advantage for you in getting tax debt discharge. If you are considering bankruptcy as an option for tax debt, discuss your situation with an experienced Dallas bankruptcy attorney . The post Tax Debt Relief appeared first on Allmand Law.